Quick comment on one of the various free agents being bandied about in the Mets blogosphere: Rafael Furcal. Furcal would have been great at second base, in tandem with Jose Reyes, both in the middle of the infield and at the top of the lineup — back in 2004/2005 (yes, I’d have moved him over and left Reyes at short back then — he was good, but no Kaz Matsui, after all). Now, though, adding him to the Mets roster feels a lot like Tony Fernandez, circa 1993. Don’t ask me why, but I have this eerie vision of Furcal playing horribly for the Mets, moving on to a random team and playing so-so as a supersub, then returning to Atlanta with a flourish, finishing his career on a high note with the organization with which he began. I could be wrong though — maybe he’ll be the next Jose Valentin. By the way, does anyone remember the last time the Mets were tied to free-agent rumors involving Rafael Furcal? There’s no harm, of course — if the team already has a legitimate everyday MLB shortstop on the roster. But is that the case? Ruben Tejada took a significant step backward (maybe two) last year, so it’s not prudent to expect him to return to being the up-and-comer he appeared to be in 2012 — he could very well be Anderson Hernandez. If you think Tejada is a big question mark, then does it make sense to have another big question mark as a backup plan? Remember when Johan Santana was a big question mark going into the the 2013 season, and the backup plan was Shaun Marcum? It’s a similar situation. On the other hand, if the Mets think Tejada can get back to where he was a year ago, then signing Furcal might be a way of sending a message or lighting a fire under Tejada’s keister. Or, maybe I’m completely missing the point of rolling the dice on Furcal. What’s your thought? Why might the Mets take a flyer on Furcal? Beyond the obvious point of it being a low risk gamble. 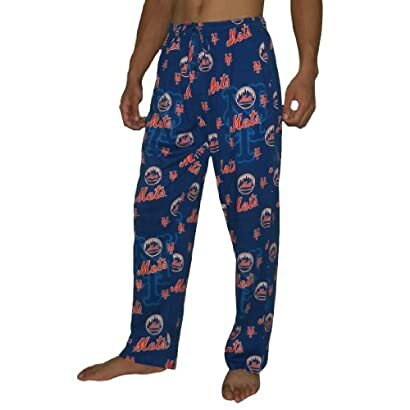 to wear while you’re watching the The New York Mets 1986 World Series Collector’s Edition DVD ? Abs not included. I too am confused by the interest in Furcal. At the very least, we should be looking at Peralta. At the most, examine who we’d need to send the Cubs for Starlin Castro. We should sign Loney for 1b, Shoo for RF and trade for Cespedes. This package would keep us under $40mm, add Josh Johnson or Tim Hudson or Kazmir and we might look like a major league team in 2014. Just once I want to read a post that talks about the Mets being interested in a player that is in the top 5 of his position. Ugh. Can’t you hear Sandy say “”Furcal is a low cost high upside player?” Shortstop is this years big mess. If Murphy is traded I look forward to Sandy joking “What middle infield. It looks like Sandy wont spend money on shortstop; as he did not spend money on the outfield last winter. A decent shortstop will cost 14 million per year. The kids in the minors are not ready so Sandy is looking for a stop gap. I look for lots of low cost options being invited to camp. Hey Ronnie Cedeno is a free agent. 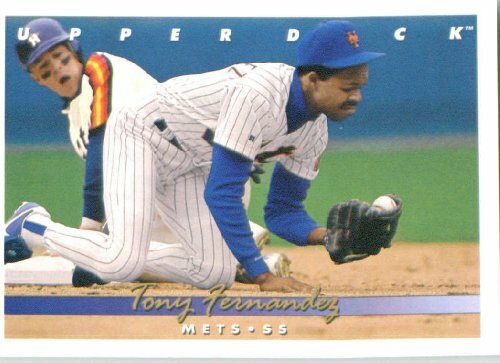 Tony F. may be a little long in the tooth these days, at least compared to Rafael, even by Met standards. I would be happier if your title was borrowed from Dire Straits, “Callin Elvis”, as in Andrus. Not very likely. I disagree with you Joe comparing Marcum to Furcal. Last year the Alderson gang was spewing lies about being tied by those never ending contracts (even tho most had ended). This year they are out of lies and excuses and its looking that its the same old same old. This is far worse. By New Year we’ll be hearing that they have to tread water because they can’t replace ace Harvey. Be ready for the Alderson PR machine. I hope they pay well. If we don’t get Peralta or Drew, Furcal is a fine addition to whatever Potential SS grab bag we assemble. His biggest defensive asset, his arm, was just operated on. His biggest offensive assets are probably his legs, which are now 37 years old. So I think the Rafael Furcal of the past is gone for good. Even so, a veteran with a .750 career OPS is almost certain to be a huge improvement over anything the Mets currently have. Ruben Tejada was red hot in early 2012, hitting .320 worth of singles and playing a good SS. It behooved the Mets talent evaluators at that point to realize his value was peaking, and move him. Instead, the organization bought the same false hope they sell to the fans, and projected him as a future cornerstone. Now, he can barely hold his own in a AAA hitters’ paradise. I don’t think the Mets are liars as much as they are simply incompetent. Pardon the tangent… basically, I think Tejada’s a bust and Furcal would be much better. I think Furcal would be a great addition, as a sub. Signing Furcal means no more Justin Turner starting at SS when the injuries come. Plus maybe a 37 year old vet who has had a nice career can teach Tejada “work ethic”. Joe: I am sort of off the grid right now. But here are MY thoughts. I LIKE the idea of Furcal or even a like SS. Why?… because I think Alderson likes Wilfredo Tovar. Tejada is an after thought for me and I think someone else has to see Tejada as a jewel in the rough ..or ‘project’ and he will go in a trade (I like the Rocks….if they trade Troy). I personally do not see anything in Wilfredo Tovar whatsoever. I’m not sure what there is about his game that would interest Alderson, either — he has no power, no offense in general, and a long history of an inability to get on base. But, I’ve been wrong before. As for Tejada, his stock couldn’t be any lower. He would be a small piece in a trade right now, not a centerpiece. Joe: You are often wong! But all of us arm chair GMs are too. Consider…If Alderson with a multi-million dollar salary, flanked by such esteemed minds as DePodesta , and ‘ the unamed source high in the organization’..KEEP getting it wrong, then how are we going to fare!!! You should do a post on Mana ger options.